Editor’s Note: This post is part of a series further exploring “The Two Year Window,” my feature story on babies, the brain, and poverty that appears in the new issue of TNR. Click here to access all of the supplemental material. 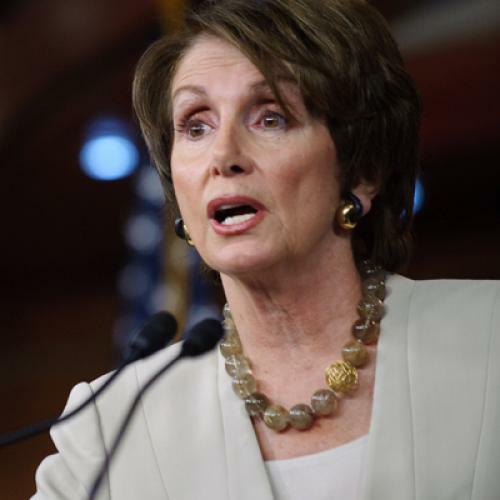 Nancy Pelosi gave her right wing critics new ammunition last week when, during an interview, she vowed that the first priority of a Democratic House would be “doing for child care what we did for health-care reform.” But I think Pelosi is onto something. Now, I have no idea how hard Pelosi actually struggled with day care as a mother. But she is absolutely right that it’s a huge problem in this country. And if you don’t believe me, head over to The Daily Dish, Andrew Sullivan’s blog. He ran some reader responses to my recent article about brain development and a follow-up item on the quality of day care. When we were shopping around for daycares, the most prevalent thing we noticed is that you get what you pay for. Some of the daycares we visited, that were much more affordable, were awful. Dark, toys weren't engaging, low pay for teachers so the turn-around was high, etc. … I thank God we're fortunate enough to afford decent care, but it's the same thing in day care as it is in life - only the privileged are among the lucky to get good services. Based on her earlier experiences from working at a larger daycare center, she would certainly earn significantly less than this if she were just a center staff member. Fortunately, I earn enough that her income is not our main source. However, for most of those who work in larger institutionalized daycare centers there is precious little economic incentive to become a dedicated professional. Until we value children’s “first two years” and formative experiences as much as we do public education we will continue to have a minority of truly excellent daycare options. These letters capture the basic problem here. If you want good child care, you need good teachers and caregivers. That usually costs money – particularly now that women, who do the vast majority of these jobs, have more lucrative employment opportunities. But the more expensive child care gets, the harder it is for people to afford it. And it’s not just the lowest income Americans who struggle with the costs. Increasingly it’s the middle class, too. Yes, that should sound familiar: It’s a bit like health care, where access is increasingly difficult for members of the middle class as well as the poor. That’s why Pelosi is absolutely right to link the two -- and to suggest it be a top priority for policymakers.